Published January 11, 2017 at 4160 × 2340 in A dining space in Kemp Town, with very high ceilings. After trying out layouts and much discussion with the clients, we decided this was the best room to display the monochrome cathedral prints. The idea being to match the architecture of the space to the architecture depicted. A dining space in Kemp Town, with very high ceilings. 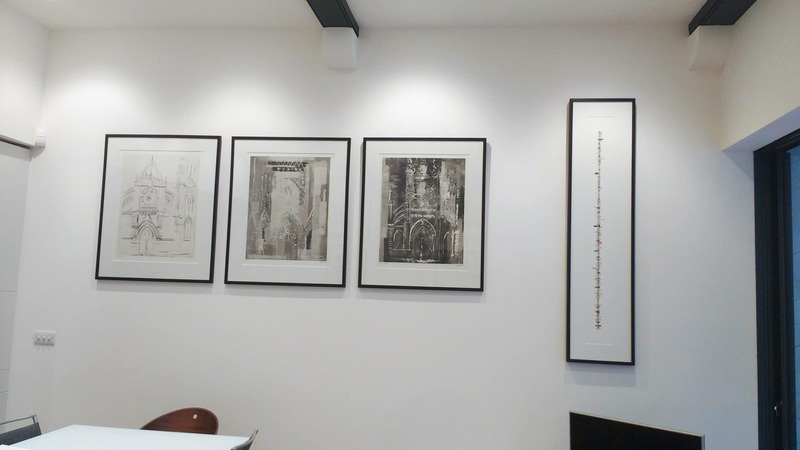 After trying out layouts and much discussion with the clients, we decided this was the best room to display the monochrome cathedral prints. The idea being to match the architecture of the space to the architecture depicted.